In several states, homeschoolers must keep a portfolio and be evaluated by an evaluator. I recommend that you become familiar with your state laws regarding homeschooling, portfolios, what is required, and what is not required. Join a local support group so that you can ask questions from local experienced homeschoolers. They can also help you find an evaluator. 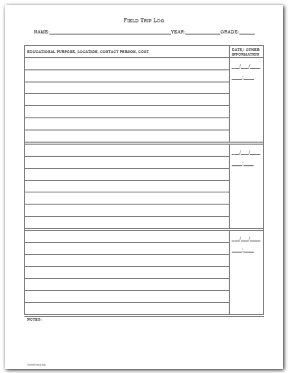 I've put together some forms that may be helpful. Depending on your record keeping style, use either the Class Schedule, Weekly Log, or the Daily Log. You do not have to use all three unless you just want to. 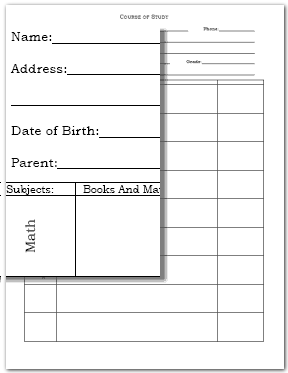 Get a large 3-ring binder or a file box for each of your children and keep their schedules and work organized. Use tab dividers for each of their subjects. Place a few photo-album pages in their notebook or file box to hold any photos that you take of projects, field trips, etc. Either plan their schedule or record what they read and do on a daily basis. If you preplan, just write page numbers and other relevant information in the blocks on a lesson planner. 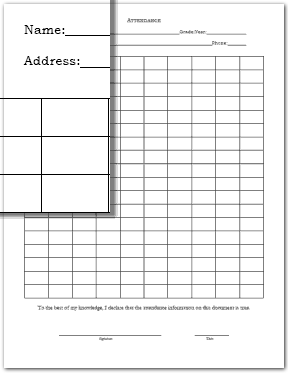 See the How To Make Lesson Plans for Homeschool pages for examples and tips on scheduling. Be diligent in keeping all of your logs up to date. The most important school work to show is your child's before and after work--- in other words--- work that shows their progress. Please don't take my word about how to keep portfolios -- Find a Local Group and Ask Questions! Portfolio comes in several formats. See the legend above. Note: Typeable PDF's are not broadly compatible. You should save the file to your hard drive before editing. Editing the typeable pdf online is limited. Adobe READER will (might) not save what you type! The typeable pdf's are meant to be printed. Do not consider using the typeable pdf's as a running document UNLESS you have Adobe Acrobat or you have tested the file to see if it will save your work. In the squares write the date of each day that you school. * The typeable pdf files must be used from your hard-drive. That means you should save the typeable file to your computer and type in the file from there. 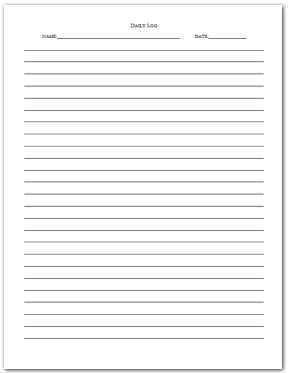 Online editing of the typeable pdf is limited. Use this one in the same way that you would use a quarter planner (term planner). 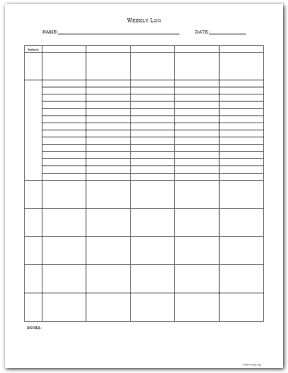 This form is meant for scheduling one subject. About Keyed Planners - Keys are useful when connecting a lesson plan to a score on a Keyed Grader. Alpha Keyed means the column headers contain letters and the row headers contain numbers. A letter and a number can be paired to "map" a block in the planner. For instance, A1 is the first block in the planner. A2 is the first block in the second row. E2 is the last block in the second row. Roman Keyed means that roman numerals are used in the column headers and numbers are used at the row headers. Roman keyed graders may be found at Grades and Gradebook. List your child's courses and the book and materials that your child uses. 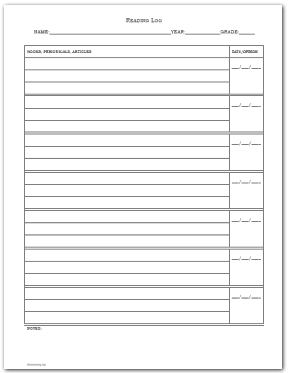 A weekly lesson planner form. List subjects and lessons for one week. A simple ruled journal, pure simplicity that happens to match the rest of the planner. 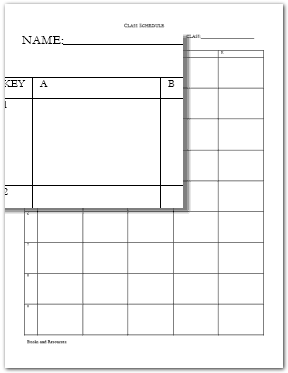 The typeable version is blank with three fields for typing - a header, a sub-header, and the body. Keep track of what your child reads.